Gary White has today been unveiled as the new manager of the Hong Kong national team. This story had been rumbling on for months now, and with every new news report being released it seemed like it was getting closer and closer to the point where Gary White would be the Hong Kong boss. Today was that day, with images on Twitter showing Gary White draped in his new Hong Kong trackies and the countries scarf draped around his shoulders. This is the news most Taiwanese football fans have been dreading because under White’s guidance Taiwan have been slowly grinding their way up the rankings, and winning matches. This is something that hasn’t happened often for Taiwan. We take a look at why something that was going so well on the pitch has went horribly wrong off it. Hiring Gary White as Taiwan manager was a master stroke, this bloke has done very well with every tiny dot footballing nation he has managed. Not only that, but he works on the development of youth teams too. This means he isn’t just sitting around twiddling his thumbs when Taiwan don’t have matches, which they often don’t. He has been the first manager I have seen Taiwan employ who has went around the country to assess football players in all different regions instead of making the players come to him. This means he would have more chance of finding some decent players in schools or universities. It’s highly unlikely that you’d find someone that wasn’t already known to the national team set up, but you never know, you could find a gem out of the blue. Hiring a foreign manager, with a very good record and a bloke who isn’t afraid to focus on youth was a brilliant move by Taiwan. It started to get football fans excited, and yes there aren’t many keen football fans in Taiwan, but when people get excited about something it becomes contagious. If a certain amount of people are speaking about how well the national side team are doing, then that will spread over time and more people will want to check it out. Overtime that becomes great because it can possibly begin to attract more fans. This should have been the kick start that Taiwan’s development has been crying out for, for years now. Before Gary White arrived as Taiwan manager, Taiwan had a clear approach when playing footy and that was do our best to not lose. The mentality from coaches passed onto the players seemed to be just not lose, but if we do lose do not lose face by getting a hammering. When Gary White came in the team was struggling in Asian Cup qualifying after losing at home to Turkmenistan, and getting a hiding away to Bahrain. Chances of qualifying for the Asian Cup looked to be a distant reality, until the Japanese manager took sick and was unable to carry on his job, this is when White came in. He had a couple of weeks to prepare for the home game against Bahrain and if Taiwan lost that game they would be out of the Asian Cup already. Miraculously Taiwan defeated Bahrain. With the score at 1-0 to Bahrain going into the final 5 minutes of the game, they threw the kitchen sink at Bahrain and it worked. Scoring two goals at the end of the game to keep their slim hopes of qualifying for the Asian Cup alive. Taiwan carried on playing with this attacking style of football that they have rarely used previously, the belief that the win against Bahrain had given the side was huge and the momentum from it nearly carried them to qualify for the Asian Cup. Unfortunately they lost 2-1 away in Turkmenistan which knocked them out. If that game had ended in a draw then Taiwan would now be preparing for their first Asian Cup appearance in a long time, and that was something unexpected before Gary White came in. Another benefit of seeing Taiwan play attacking football was that home fans actually saw their team score goals. This doesn’t sound like such a big deal, but the amount of games I went to watch Taiwan play in the past where they haven’t scored a goal, or even looked like scoring a goal has been unreal. Watching the team just defend, hoping they won’t lose doesn’t inspire anyone to come and watch them. Watching a team trying to win the game, and trying to score does inspire people to come and watch or support you even if you don’t always win. Taiwan played more games under Gary White than any other manager since I have been living in Taiwan. Normally they only play the qualifying games, and its often rare to see them playing friendlies, even to prepare for competitive games friendlies rarely took place. Gary White changed this and made them realise to improve you need to play games. Without games how can a team improve? Training is ok, but certain things happen in matches that can’t be completely replicated in training. Taiwan even hosted their own friendly tournament, which I suspect might not happen again in the future. It’s now unlikely that Taiwan will play as many games seeing as certain people in the CTFA (Chinese Taipei Football Association) started to complain about how expensive it was to play games for such minimal movement up the FIFA rankings. And I think the chances of them going to play in things like the Asian Games or the friendly tournament in India will be very slim in the future too. Those types of tournament environments are especially good for Taiwan because a lot of the players will have no experience at all of playing in such tournaments. Apparently Taiwan’s keeper Pan was known to the international set up for a long time, but he wasn’t being selected because he is a bit mental. Since Gary White and his team brought him into the side, he has been exceptional between the sticks. 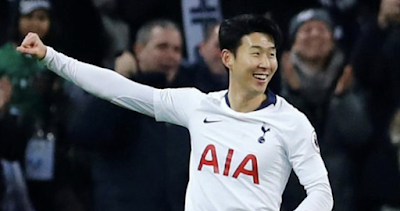 When I first saw him I thought he looked a bit podgy but in his first start against Bahrain he kept Taiwan in the match for large parts of it, and without him they would have never won that game. During the Asian Games he was easily Taiwan’s best player as he pulled off save after save. Against Malaysia he looked like he has now dropped loads of the weight he had when he was first brought into the team, and looks to be in brilliant shape now. Pan has to stay as Taiwan’s number one keeper, if he gets kicked out because the new man can’t deal with a nutter, or a guy who speaks his mind then we will already know that the new manager won’t have what it takes to do well. As a coach you need to be able to manage all different types of personalities within the group however hard it is. Pan is clearly the best Taiwanese keeper right now, and he must stay in the side. Gary White managed to locate and persuade foreign players who are playing professionally and have links with Taiwan to come and play for the team. Will Donkin, Josef Gustaffson, Wang Chieh Ming, and Tim Chow (albeit they fell out after 1 game) were all brought in to improve the standard. These players are all playing professionally unlike the league in Taiwan which is amateur or semi professional. The professional players brought in have really raised the level, and I can’t imagine that these players would have been searched out, and called up without Gary White being in charge. The CTFA need to keep calling up these players, I don’t see why they wouldn’t but it wouldn’t surprise me if it happened. The Taiwanese guys in the squad who play locally will be able to see the level of the guys who are playing pro around the world when they all join up for the national team and they can see where they need to get to if they want to make it outside of Taiwan. When news broke of the CTFA infighting about who will be in charge of the association, cracks then also started to appear between the management team and the CTFA. News was coming out which looked extremely fabricated about when Gary White managed Guam and played against Taiwan in a friendly. This news said that Gary White had wrote down a fake score line on the match report to show that the game ended in a draw which would benefit both sides in the FIFA rankings. A draw between Taiwan and Guam wouldn’t even help either side that much anyway, but that wasn’t all it also said Guam are useless now because of Gary White even though he isn’t managing them. It claimed he spends all the budget on pointless friendlies when they don’t even make much progress in the teams rankings, it asked why does he not just play and beat teams who are much higher ranked and bag loads of ranking points. The mistake they made is assuming that winning against teams at a similar level is easy, there is no way Taiwan would beat sides in the top 100 so what they said in the article was nonsense written by someone who clearly doesn’t understand football. That’s when the complaints started coming out, that were targeted towards a Taiwanese national psyche. By bringing out articles they knew the Taiwanese fans would be angry about they knew they could create a divide. There’s also a reason they specifically wanted to mention how he spent all the budget, there’s a reason why they wanted to say they suspect him passing on their development secrets to China and it’s because these are issues Taiwanese people hate and therefore easily used to manipulate an audience not fully understanding of what is going on behind the scenes. Taiwan’s football association have been involved in political infighting which has stopped anyone at the CTFA talking to Gary White about his contract. According to White himself he tried to discuss it with people at the CTFA but because of the arguing it wasn’t possible to negotiate. Going into the Asian Games White only had one month left on his contract, and with no discussions happening between him and the association it looks like he has took matters into his own hands, and started to look for another job before the end of the contract. The CTFA have had plenty of time since they employed him to discuss the future. Taiwan had hardly any preparation for the Asian Games, and it showed in the finals. They played no warm up games, they didn’t even have rooms booked until about 2 weeks before they left Taiwan. This too was all because of the infighting. The fact is there for all to see though, they’re more concerned about fighting who will stay in charge rather than talk to a manager who has been very successful since he was employed. This tells everyone exactly what they need to know about the people in control of the football association in Taiwan, the fact they’re willing to let the most successful manager they’ve had for years leave so they can focus on a battle amongst themselves shows they don’t have football development in their best interests. It is an open secret that sports associations in Taiwan are corrupt and crooked, the reason this arguing is taking place in my opinion is so that the people in charge can keep their fingers in the pie. Their own personal benefits looks like it comes before what they claim they’re trying to achieve. If the next manager they employ does a better job than Gary White has I will hold my hands up and admit I was wrong, but I suspect that I won’t be. Gary White and his team managed 7 home games while they have been in charge, and they haven’t lost any of them. In fact I do believe that they won every single home game. In games where they have managed to call up a full senior side they have only lost one match – the important away game in Turkmenistan. Before Gary White I have only seen Taiwan win two home games, one against his own Guam side and one against Macau. That is not exactly the same as who they have defeated since White took charge. The media complained the sides they beat weren’t very good, but what the people in the media don’t realise is those not very good sides that they beat would batter Taiwan in the past. The home record has been excellent and people following football here have been happy watching a team win for a change. When the Hong Kong manager left his position, they likely couldn’t have believed their luck. There is a bloke managing across the water who is doing an excellent job with a national side that is normally terrible and the association haven’t offered him a new contract. The rumours in the news would never go away, and that was because Hong Kong could see what White was doing with Taiwan, and wanted a piece of that too. 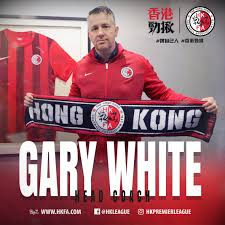 Unless someone bigger than Hong Kong comes in for Gary White he will be very successful if given the time with Hong Kong. Out of all the national teams he has managed in his career they are the ones who so far have the best league structure and the best chances to really improve under him. This is an excellent appointment for Hong Kong. White’s first competitive matches in charge of Hong Kong will be in Taiwan when they travel to Taipei to compete in the second round of the East Asian Championships. At the time the venues were released for each round of the East Asian Championships I thought Taiwan had the best chance ever to get to the final round, because of playing at home and having Gary White in charge. Now that he left for Hong Kong, I believe if anyone is going to stop North Korea from advancing to the final round, it will now be Hong Kong who have the chance and not Taiwan. Hong Kong have two friendlies already organised to prepare for the East Asian Championships with a home friendly against Thailand and an away friendly against Indonesia. Taiwan on the other hand, have no friendlies organised to further prepare for the East Asian Championships and currently have no manager. I am unaware if the CTFA are still battling each other, but if they are then that clearly won’t help either. It looks like Taiwan could be returning to the, ‘let’s sit on our arse and wait for the competition’ approach instead of having warm up games. If Taiwan are serious about improving, they need to hire a manager who is as equally as qualified as Gary White is. And they need to find someone who is equally as motivated about improving and doing as well as the Englishman was. People who have tried often to criticise him have often said he only cares about himself and not Taiwan, but any good level manager is going to care about progressing their career and to progress their career they have to do well for Taiwan or any other team they manage. People might not like me saying it but no good level manager is going to stay in Taiwan, or even Hong Kong for that matter if they get the chance to go to a higher profile positions in their job. It’s not negative it’s just realistic. If Taiwan want to keep the development train chugging along nicely then they need to find another manager who as equally as qualified as Gary White, and who is as determined to do well for themselves which in turn means he will be determined to do well for Taiwan by default. My prediction is that Taiwan will now hire someone local, and not go down the foreigner route again for a long time, and if the new man doesn’t do well then somehow they will find a way to pin the blame on Gary White. I hope I am wrong but I have no confidence in the CTFA making a good appointment, and I was amazed by the appointment of Gary White, but they have eventually showed they’re still incapable by letting his contract dwindle. A lot of messages on the CTFA’s social media platforms are from angry Taiwanese fans asking why the CTFA have let Gary White go when the national team was doing so well. Perplexed is probably the best way to describe it. Why would you let someone leave who was doing so well seems to be the reoccurring theme, but there are even some comments saying please get another good qualified foreign coach in. Some others are saying, anyone but a local. What a difference a year has made in Taiwanese football. So there you have it, the Taiwanese Football Association has a big decision to make now. As far as I can see it they have two options, either continue down the path they went and try to hire another good foreign coach or go down the local route and hire a Taiwanese coach. Neither route is destined to be great or terrible though, a local could do as well as a foreigner but they’ll likely have a lot less experience.